Ludovico Georgio's map of China. Luiz Jorge de Barbuda (1564, 1613) was a Portuguese cartographer. 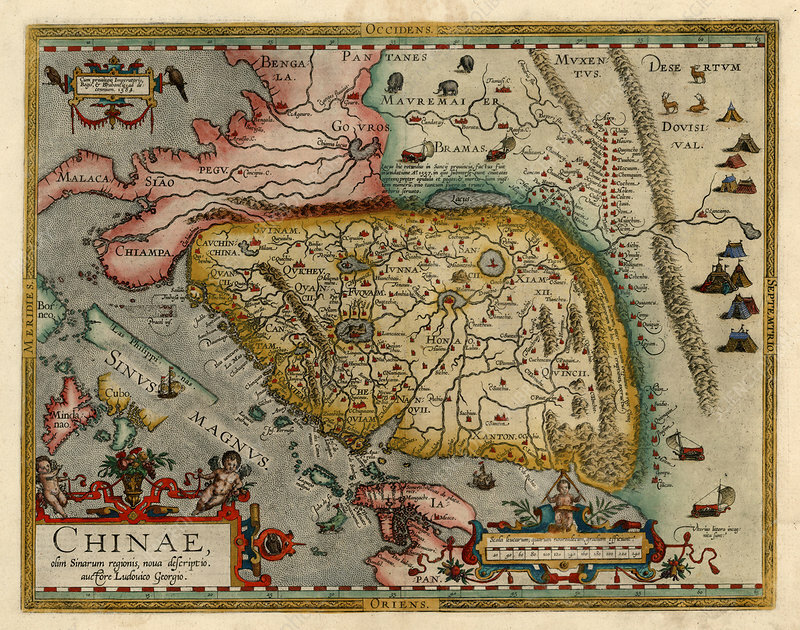 It is believed that he was the person known under the Latinized name Ludovicus Georgius, the creator of the influential map of China, published by Abraham Ortelius in 1584 in his Theatrum Orbis Terrarum. It is the earliest printed map to focus on China and the first to illustrate the Great Wall. It was accompanied by a brief description of China and its language, which Ludovicus Georgius derived from Spain's first book on China: Bernardino de Escalante's Discurso de la navegacion que los Portugueses hacen a los Reinos y Provincias de Oriente, y de la noticia que se tiene de las grandezas del Reino de la China (1577).